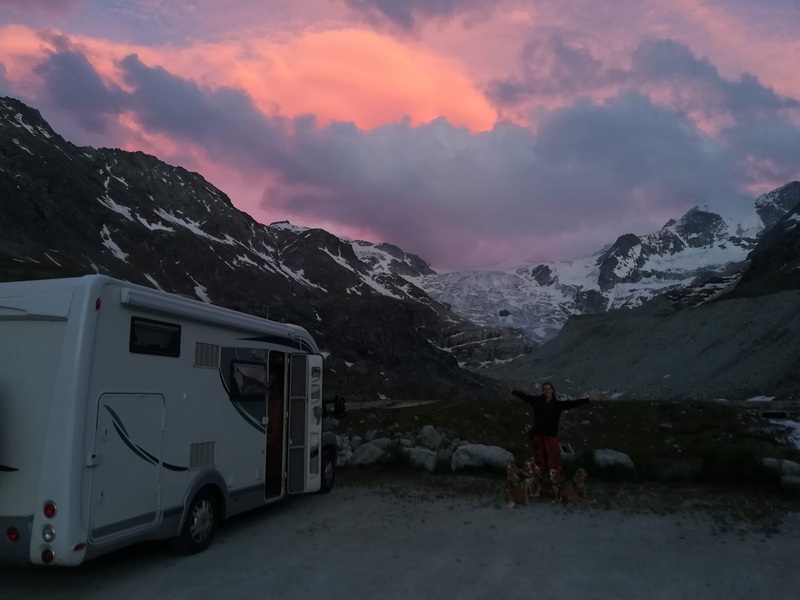 It's hard to believe it's more than a year since we spent a few nights camped out at the Col du Lautaret to enjoy some fine hiking and a quick evening 'jaunt' to the nearby Col du Galibier. However, as we decided to spend a week away from our base on the organic farm near Guillestre and stretch our cycling legs once again, revisiting these 2 beautiful cols seemed like a great way to start, except this time we'd be going all the way with pedal power right from our new base in Briancon. With a 28km approach to the Col du Lautaret as warm up to the fearsome final 9km up to the Col du Galibier this was a long and challenging ride, but with incredible views of glaciers, sweeping valleys and even being able to see the distant Mont Blanc it was an awesome afternoon in the saddle. The Col du Lautaret was first crossed by the Tour de France in 1911 and at 2058m is a shade under 28km from Briancon and with an average gradient of just 3.1%. Based on these numbers it feels like it should be a relatively straightforward, if lengthy climb. However, it really is a climb of 2 halves, with the first 18km hovering very close to 1 - 2% with just a handful of steeper sections before switching to a more strenuous 10km to the col hovering around 5% all the way. As we worked our way steadily along the valley beneath a bright sun we enjoyed the opening gentle stages with the lush green valley on both sides and peeks at glaciers tucked away in the Ecrins away to our left. Then, the more serious climbing began and our final destination the Col du Galibier crept into view with the road ahead clear to see, bending gently to the left. Working our way up the 5% as we arrived at the Col du Lautaret and got a clear view at the incredible Glacier Lauteret and the peaks of the Ecrins we were reminded just why we had loved the Ecrins so much the previous year. A few quick photos at this first col and then it was back on the bikes (after a quick bike switch with Esther getting back on the hybrid and me on the road bike for the steeper sections). The Col du Galibier at 2642m is a Tour de France legend, crossed 31 times since 1911 and although more usually climbed from the other side in the Tour de France, the 8.6km ascent from the Col du Lauraret at 7% with some sections over 12% is still no easy feat and this is especially true with 28km already in the legs having ascended some 700m from Briancon already. However, the real treat with the Galibier from this direction are the views. With the balcony road hugging the mountain side the entire ascent, although hard, is one incredible panorama after another. It was breathtaking, and even more so when we arrived at the top to find the air so clear we could see the distant summit of Mont Blanc, Europes highest mountain away to the north. The view was so good at the top we even managed to brave the chilly air for some time before starting out descent all the way back to Briancon for food and warmth. It was clear to see why all the cyclists we had passed on our way up as they were descending were in full winter gear!